In Theory, If The Edge Went To Sleep In The Middle Of A Concert, Would You Be Able To Climb On Stage And Replace Him? For argument’s sake, let’s say that you are at a U2 concert. And at this U2 concert, a man on stage has fallen sound asleep. Who is this slumbering man? 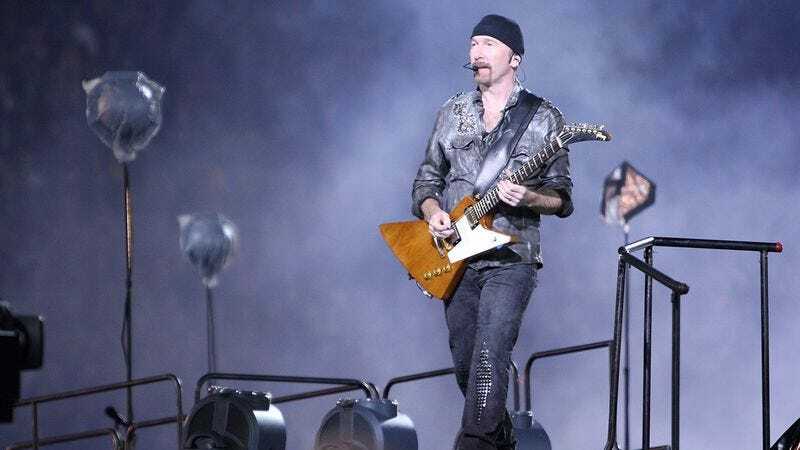 Why, none other than U2’s very own lead guitarist, The Edge. In this hypothetical scenario, do you think you could climb up there and replace him? Take this quiz to find out!